180 metres of pathways wind through the glass-enclosed Conservatory and lead to the emergence window, where butterflies leave their pupae and dry out their wings before they take their first flight. 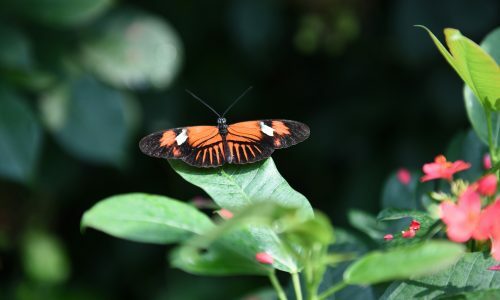 Many of our butterflies are imported from tropical regions around the world. 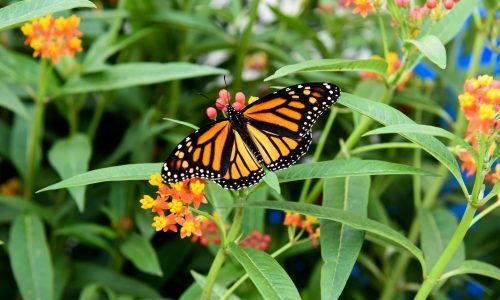 Approximately 60% of our butterflies come from butterfly farms in Costa Rica, El Salvador and the Philippines. Another 40% are raised in a quarantined greenhouse that is located behind the Conservatory.